Vlad Tepes remembers the Black Death, remembers being turned in order to be saved and the years it took to wrestle his beast into submission. With the birth of World War I, his family fled Europe ahead of the invading armies. Eventually, they land in Chicago, forced into a leadership role by the Vampire Hierarchy. Vlad’s always roamed, working to right the wrongs and protect those weaker, a toll for his fledgling misdeeds. Being told to stay in one place chaffs like silver cuffs. Until he meets Sheree Jennings, a local gangster’s daughter. Settling down becomes far more appealing. Except an ancient evil has also relocated to the windy city with them, dark and demented, an elder vampire whose core is filled with sinister need. But, not all evil comes in the form of a vampire. People are disappearing, putting everyone at risk including Vlad’s love, Sheree. 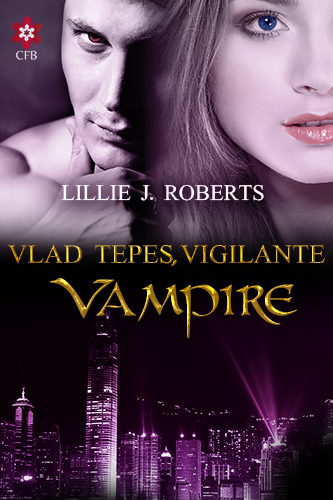 Determined to keep what’s his safe, Vlad uncovers more than vampire politics, or crimes and misdemeanors; an insane plot capable of exposing them all is in the making. Everyone is in danger if he can’t stop their plans, humans and vampires alike. With his life and those he loves held in the balance, he must contain this maniacal scheme or face unending death. . . or worse, eternal loneliness. Old Chicago, that’s what I liked to call this part of the city with its old neighborhoods, the Italians, Irish, Asians, Germans…and the new additions, Puerto Ricans, Mexicans, and Middle Eastern born people. It didn’t make any difference to me, a mass of human population boiling over with need, want, and violence, the same as it always was…but it was also a hunting grounds and that was important to me. You see, injustice never set well with me, and this latest gig as an enforcer, well, it was right up my alley. Two days had been spent tracking the latest problem that worked his way across our domain. Another being, happy with violence and sickness, unable or unwilling to contain himself. If he wasn’t stopped, how many more would he torture, maim, or kill to satisfy those sick needs? The night surrounded me and I drew it in tighter, virtually invisible to the human eye, waiting, watching, prowling… What was taking him so long? I had other things to do besides waiting for him to make his move. My patience was wearing thin, and my shoulders rolled with tightness. The night was becoming longer than it needed to be. Finally, traces of his foul wonderings greeted my mind as he mused about his next victim, hoping she’d scream and beg, hoping she’d plead for her life. Then after a few promises and sure knowledge her life was forfeit, she’d beg for the lives of her husband and daughter. He got a self-induced high off what he planned to do. It disgusted me, reviled me, and yet, it was I who was the monster. He pondered it all as he came closer, and I promised myself, he’d have a taste of his own fear. There he was! Jaunting down the sidewalk, keys jiggling nervously in his pocket, anxiousness in his footsteps, and eagerness in his dull-brown eyes. He glanced up at the pretty blonde in front of him, his smile widened, his dull eyes lit up. His sharpened pointy canines peeked below his upper lip, but they were only for show. He wasn’t one of my kind but he liked to pretend. It was all about invoking fear and he liked the powerful feeling. So did I. His footsteps quickened and mine followed his. He was closer now to the object of his desire, almost within touching distance. Almost. He licked his pale thin lips, greasy hair flopped on his forehead, sweat gathered on his brow. Now, his thoughts rang in my ears, his hand lifted, grab her now! With a crumpled up ball of dirty white fabric clutched in his hand, he reached out as he crossed the darkened threshold of the alley. The shadows slipped away from me, and I stepped further back, sliding my sunglasses into place. No need for my eyes to give me away. There was a muffled scream. I heard her heels scrape along the rough concrete, then his slump against the crumbling brick of the adjoining building. Damn, his thoughts spoke loudly, she’s already passed out. Fun and games’ll have to wait. He kissed the top of her head almost tenderly before he dragged her further into the alley and ran straight into my chest. My arms swallowed both of them, lifting them from the pavement. “Hey,” he shouted, “get off of me!” Anger rolled off of him in waves. It filled the air, and I felt my beast roll, just a little, inside of me. My arms opened and they tumbled to the ground. The woman, now a dead weight, landed on top of him and I offered my icy hand. He looked at it and shivered. “Get away from me,” he threatened, brandishing a razor sharp blade that was wide at the base and narrow at the tip. But blades no longer frightened me. My eyes closed, nose twitching with the scent of the night air. Pheromones rolled off his body: fear, lust, and one I preferred not to think of, death, all mixed together with the heady floral fragrance of the young woman. It made me greedy to take what he was offering.